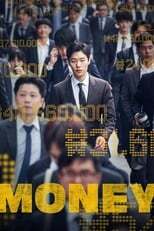 Il-Hyun is a young and ambitious stock broker, determined to make a lot of money. When he is approached by an anonymous entity called ''The Ticket', he gets caught up in a dangerous scam. Money is directed by Noo-ri Park and was released on TBA. Director Noo-ri Park's Crime movie Money is produced by Sanai Pictures & MOONLIGHT Film & was released 2019-03-20.